Thermal power using coal, oil or gas as fuel accounts for the majority of electric generation throughout the world. With a record of installing over 1000 control systems in thermal power plants, Yokogawa helps customers to ensure safe, optimized operation. Yokogawa helps power plants operate more efficiently by improving the control of fuel, steam, and feed water. The CENTUM VP integrated control system secures interruption-free “uptime only” plant performance for optimal productivity and profitability in the renewable energy field. 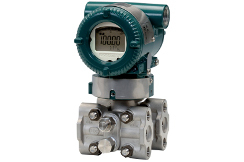 The DPharp series of digital pressure transmitters use a differential pressure high accuracy resonance pressure (DPharp) sensor that represents one of the most revolutionary advances in transmitter technology. Yokogawa’s zirconia oxygen analyzers are used for combustion monitoring and control applications and are relied on by a wide range of industries to optimize combustion and reduce NOX emissions. Yokogawa systems make startups safer and more efficient by automating processes such as heating with fuel oil and switching over to biomass fuel. Graphic displays give operators a real-time window into the status of each process. 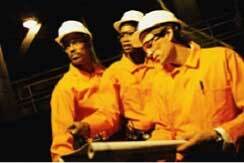 Exapilot is an online navigation tool that guides operators step by step through plant operating procedures. Exapilot automates standard operating procedures (SOPs) and provides early detection of process and device abnormalities. 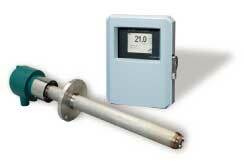 Yokogawa oxygen analyzers measure the oxygen (O2) concentration in flue gas. With this information, the air-fuel ratio can be adjusted to optimize combustion. Likewise, our stack gas analyzers can be used to reduce harmful emissions by measuring the concentrations of nitrogen oxide (NOX) and sulfur oxide (SOX) in stack gas. The SG750 stack gas analyzer consists of an infrared gas analyzer unit, a zirconia oxygen analyzer unit, and a sampling unit, and can simultaneously measure up to five components: NOX, SO2, CO2, CO, and O2. Yokogawa gas analyzers measure the oxygen concentration in the stack gas so that adjustments can be made in the O2 supply that will improve combustion efficiency and burn off more residual gas components. The FAST/TOOLS package optimizes performance for renewable energy applications. It ensures high availability and performance and supports online configuration. The TruePeak TDLS gas analyzer relies on a proprietary peak area integration method and is ideal for in-situ analysis in harsh process environments. It significantly improves the efficiency of boiler operations. Minimizing the difference between the planned load and the actual amount of waste loaded into an incinerator. The actual amount depends on the waste type and condition. The human interface station (HIS) for the Yokogawa CENTUM distributed control system (DCS) displays a trend graph in which curves are plotted indicating the planned and actual (cumulative weight) incinerator load. If there is any divergence from the planned load, the operator can adjust the stoker speed accordingly. Prevent fire accident in coal yard, transmission, and any other facilities. 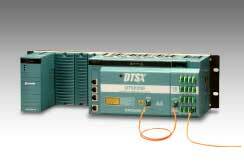 Distributed Temperature Sensor (DTS) provided by Yokogawa contributes fire detection, Leak/Plugging Detection, Hot (Cold) Spot Monitoring, and Facilities Preventive Maintenance. 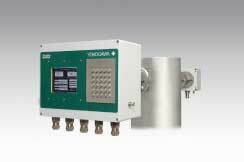 Yokogawa DTSX200 makes possible gapless LNG leak detection Monitoring. Coal/ Oil/ Gas fired power generation requires the following control and optimization. "Installing the Yokogawa TDL improved our capability to optimize urea injection for the SNCR. The monitors provided more reliability and accuracy, in a harsh environment, than the previous monitors." Eraring Power Station, located just north of Sydney, is one of the largest power stations in Australia, comprising four 660MW coal-fired units. The power station has operated reliably since 1981. To ensure continued reliability for the next few decades, Eraring Energy, the owner of the power plant, decided to replace the original hard-wired control equipment with a modern integrated control and monitoring system (ICMS). At the age of approximately 30 years the plant underwent $A 72 million technology upgrade in 2001, to improve operating reliability and performance. Macquarie Generation, Yokogawa Australia and Ralph M Lee concluded an alliance agreement to supply and install the replacement control system at Liddell. 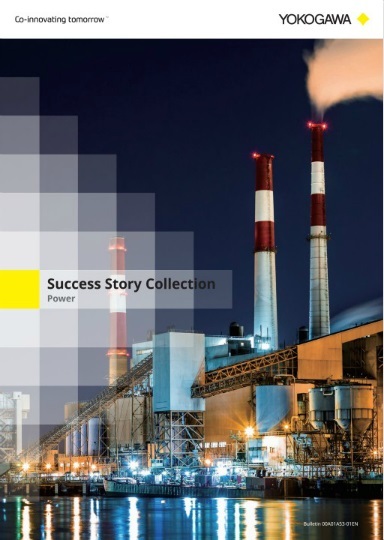 Yonghung Thermal Power Plant (Unit 1 & 2) - 800 MW Supercritical Coal-fired Power Plant Achieves Smooth and Rapid Plant Commissioning Using a Full-replica Plant Simulator/Korea South East Power Co., Ltd. 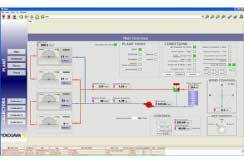 The customer has successfully brought online a greenfield 800 MW supercritical power plant, using a Yokogawa full-replica plant simulator to ensure a fast and smooth plant commissioning process. The construction of Tuas Power Station started in the mid 1990s. The plant has steadily grown to be a significant player in the competitive Singaporean electricity market. Stage One of Tuas Power Station is equipped with the country's largest steam generators which are capable of producing 600 MW each. Since entering commercial operation in 2000, the environmental control facilities at the Tachibanawan Thermal Power Station have been managed effectively by the CENTUM control system, achieving a stable electricity supply with minimal impact on the environment. The Bahia de Bizkaia Plant is one of the most significant power projects to be carried out in this region. The project has been led and financed by Ente Vasco de la Energia, Repsol-YPF, British Petroleum, and Iberdrole S.A., with the total investment coming to approximately 600 million euros. The Itoigawa Power Plant was constructed adjacent to a cement plant in Itoigawa City, Niigata Prefecture, and is operated by an IPP that supplies electricity to Tohoku Electric Power, one of Japan's major power companies. The use of a 149 MW coal-fired CFB boiler in this power plant is a first for an IPP in Japan, and this effectively reduces NOx emissions. Yokogawa’s CENTUM VP and full-replica simulator contribute to the stable operation of this supercritical coal-fired plant. The two units have been operating successfully since start-up. 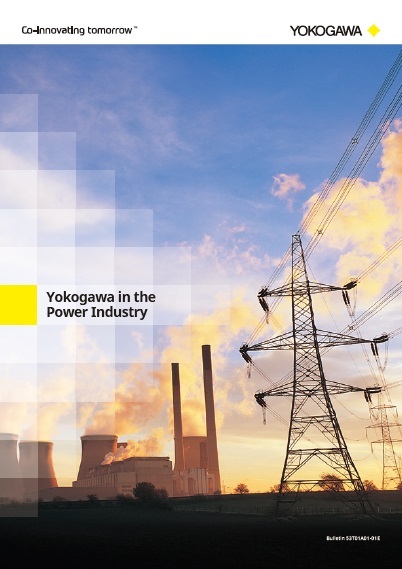 Yokogawa supplied an integrated boiler and turbine control, monitoring and protection system for each of the four generating units in a coal-fired power plant in Australia. 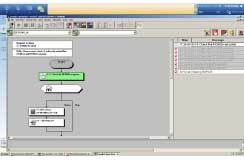 Yokogawa also delivered two high fidelity operator training simulators for this plant. 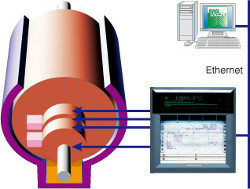 Measures temperature and vibration of the turbine for rapid identification of abnormalities. Exhaust gases from a pulverized coal-fired boiler contain a large quantity of dust. To prevent this from being released into the atmosphere, an electrostatic precipitator (ESP) is used to remove the dust. To maintain the collection efficiency of an ESP and prevent dust emissions, abnormalities must be detected immediately. The ammonia (NH3) gas is injected to remove the NOx and thus reduce the NOx concentration in the stack flue gas. With conventional NH3 analyzers that perform measurements indirectly, NH3 concentrations are obtained through a sampling system. Therefore, there are problems with the maintenance and running costs of the sampling system, and time delays in measurement. The TDLS200 Laser Analyzer is the solution to all these problems. 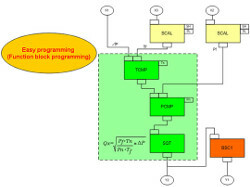 Floating-point format calculations have enabled physical quantities (in engineering units) to be used in calculations. The MW100 Data Acquisition Unit comes with many networking functions, including a diverse range of functions for remote monitoring. 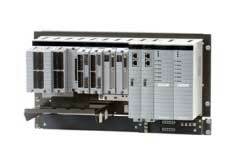 The MW100 allows logging via communication of devices that support MODBUS servers. With no analog module required, costs can be reduced, and errors during A/D conversion are eliminated. The MX100/MW100 is best suited for applications where the voltage of each cell in fuel cells, secondary batteries and electrolyzers is measured. 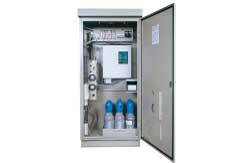 Yokogawa Power Monitors measure energy in plants, such as power, current, voltage, power factor, etc. 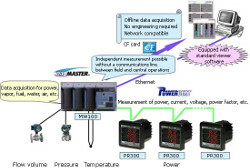 In addition, data acquisition for power, vapor, fuel, water, air, etc, and data monitoring using viewer software, are performed by connecting to the MW100 data acquisition unit. Industrial Combustion sources such as thermal cracking furnaces and, process heaters play a critical role in the process industry. High quality wireless communication was confirmed. Current trend for increasing mercury awareness throughout the public sector has caused the government to take action. Recently, the Environmental Protection Agency (EPA) has focused their efforts on controlling mercury levels produced in various coal fired power plants. Based on information from several case studies, the EPA developed the Mercury and Air Toxics Standards to cut back mercury emissions. The most popular technology utilized by coal plants to meet the new standards is a scrubber which cleans the off gas from the combustion process. ORP sensors can further monitor the effluent from these scrubbers to ensure optimal mercury emission levels are achieved. By closely monitoring the mercury concentrations in the effluent, plant managers will be able to easily confirm their plants are meeting the EPA's standards. Power plants concerned with lowering NOx emissions are making tremendous changes to accommodate EPA regulatory requirements. A substantial number of these changes include the expansion and upgrade of the plant combustion oxygen measurement equipment. There is a striking relationship between the number of NOx reductions projects and the sales quantity of insitu oxygen detectors.